Today is the second of June and that means it's SUMMER! I spent two days in a row in the water and sunbathing and now I am less pale than I usually am (haha, I am super pale, still) and my back and legs hurts from the sun, but that's okay. Did you already do some summer activities? It's the perfect weather for it now in Lithuania. But I have a few weeks left of school and who really wants to go to school in this heat? It's horrific. 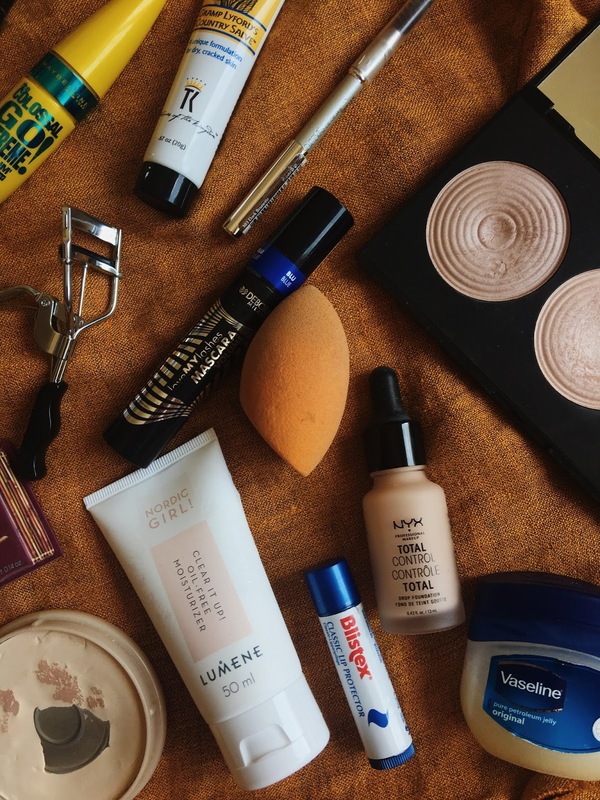 But now it's time to tell you more about my everyday, minimalist makeup routine. I have always wanted to do this post and I hope you will find it interesting. So let's move on it! The first step I do in the morning is washing my face with Clinique Liquid Facial Soak. I still love that thing and it's really, really good. 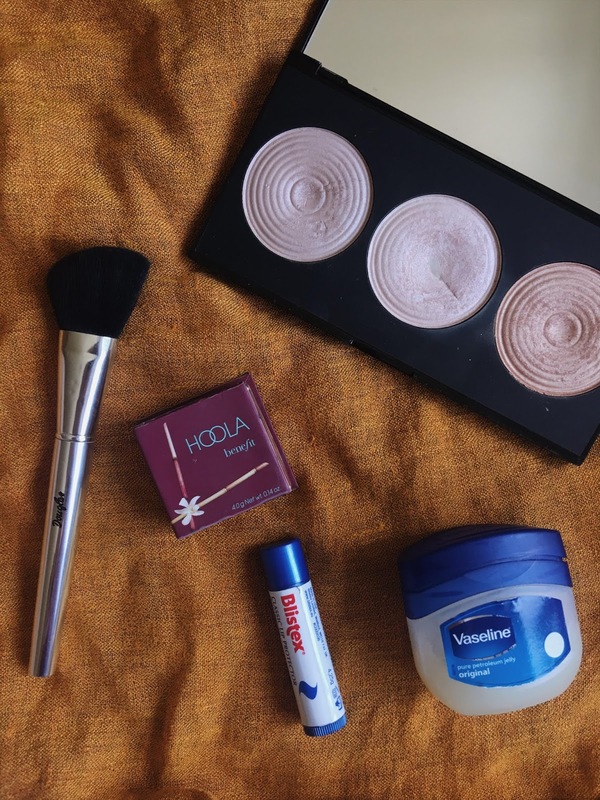 Now it's time to moisturise your face. I stick between these tree moisturisers and it depends on the day, which one I use or if my skin is feeling dry or not. 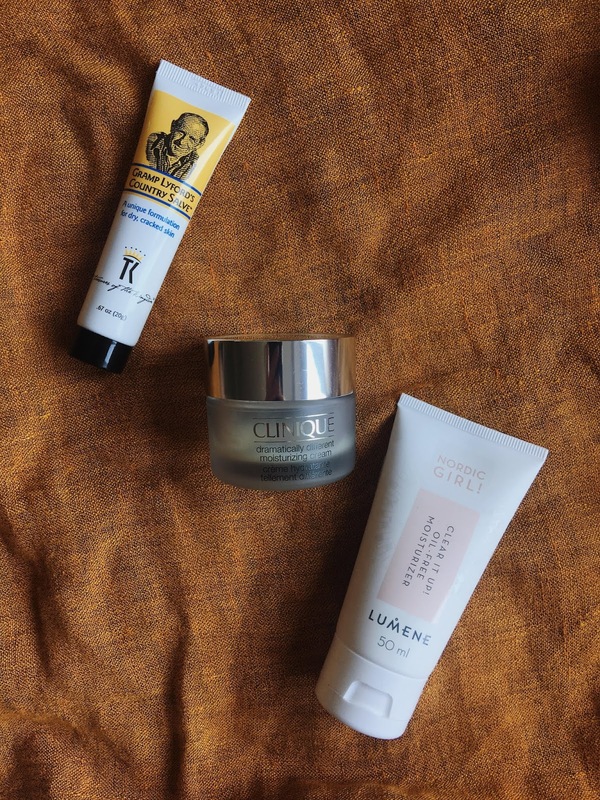 The Clinique one is really great when my face needs more moisture and the Gramp Lyford's Country Salve is more for everyday. I got him as a gift from America so I'm not sure where you can find it. The one from Lumene I actually just bought yesterday and I will be trying it out for the first time. Hope it will be good for my skin and I love that all the ingredients are Vegan. For everyday / school, I just use this concealer from Catrice with whom I have a love and hate relationship. Sometime I liked and sometimes I don't, but now I will use it, because I don't like to waste things. 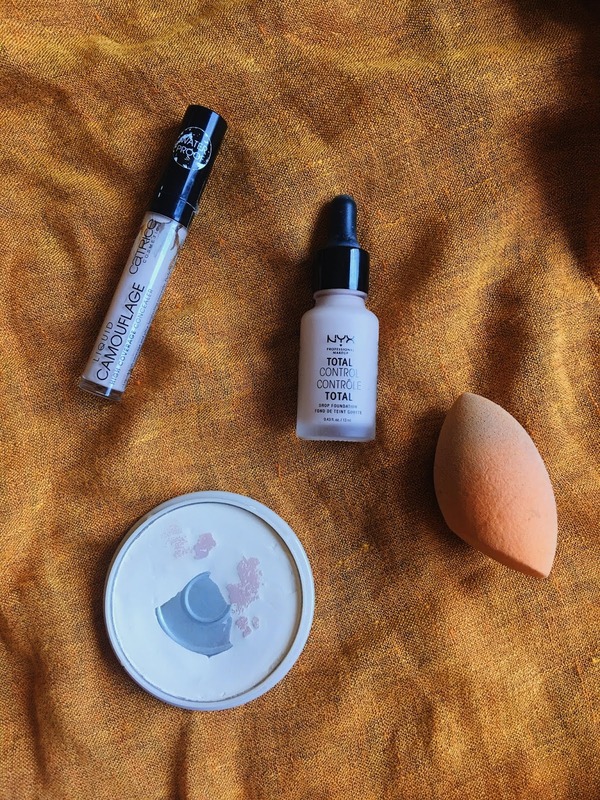 If I'm going somewhere else and want to look flawless I use this drop foundation from NYX. I am not a huge fan of it, but it's all I got now. 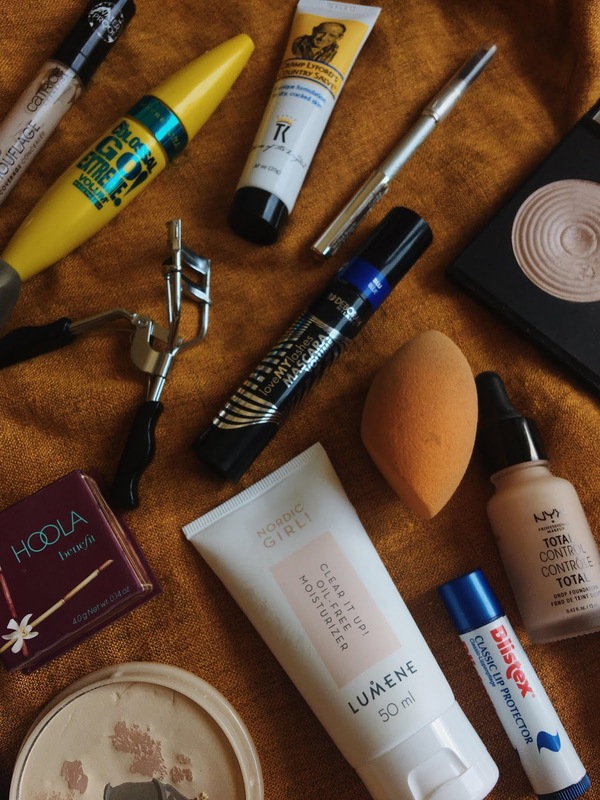 I apply everything with my damp beauty blender whitch I love! (sorry it's really dirty right now) And the last is the Stay Matte long lasting pressed powder from Rimmel London. It's actually really good and I had it for ever now. It's translucent so it works with every skin colour. For brows I'm just using a pencil from Loreal which I had literally forever. I previously had a benefit brow pencil and I will buy it again when I finish this one. This pencil from Loreal does not last long so, I would not recommend you. Next I curl my lashes and that makes massive differences. If you don't use it, I'm not sure how and why?! It's time for mascara now! I don't use mascara everyday, but if I use I use this one from Maybelline. It's normal, not great, but not bad. 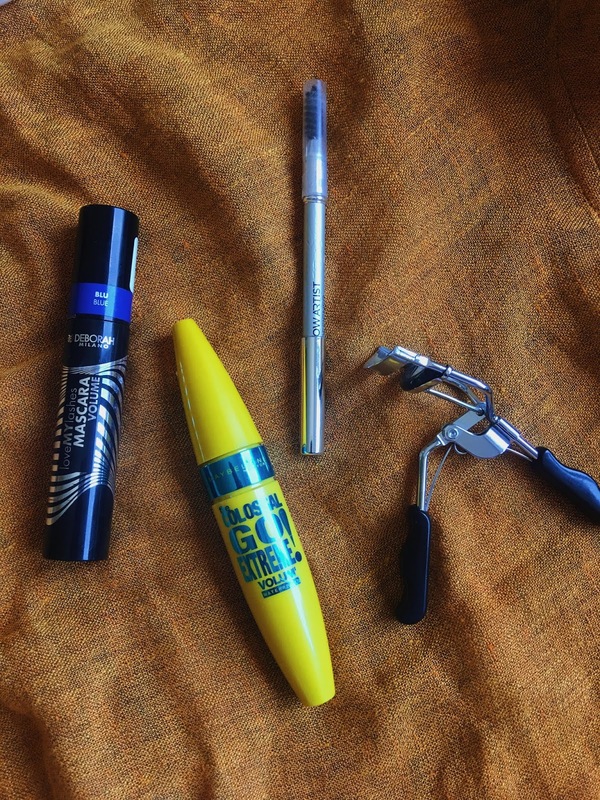 When I want to play with some colour I use this blue mascara from Deborah and I love love love the blue mascara! It was a hard time finding it, but it was definitely worth it. It looks so different and I love it! I'm looking for a red colour mascara too, so if you know some red colour mascaras let me know. The last step that I do if I have some special day is contouring my face with the Benefit Hoola contour powder. Also, highlighting face with this palette from Makeup Revoliution. I love both of these products and I would recommend it to you. For everyday I usually just put some chapstick. they both are my favourite. Sometimes I could apply some kind of lipstick if I have more time in the morning. Have a great first week of summer and see you soon with the new post! Hey thank you for sharing this article with us it's really very helpful and informative. Thanks for sharing, with the summer sun and my summer vacation just coming up, I was looking for some products to take care of my skin.